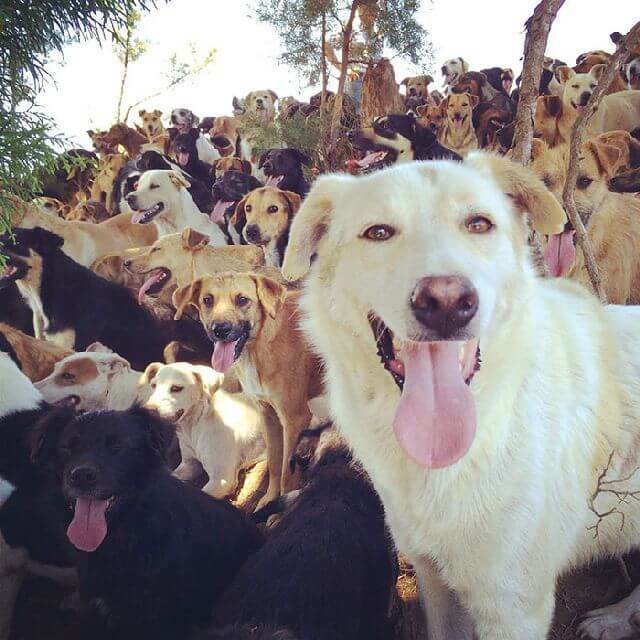 Land of the Strays - home to 1000 happy dogs! Land of the Strays – home to 1000 happy dogs! Land of Strays, Dog Paradise in Costa Rica! Costa Rica, the tropical paradise that boasts of pristine beaches is also a dog paradise, home to the Land of the strays! Founded nine years ago by a dog loving couple, Territorio de Zaguatas —the Land of the Strays is a no-kill shelter (Costa Rica forbids euthanasia for animals) and haven for stray dogs. 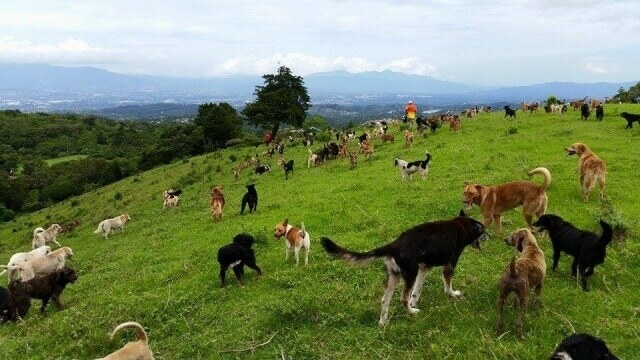 With nearly 1000 happy and healthy dogs, all cared for by the volunteers and the friendly staff, this dreamy sanctuary on the green pastures of Costa Rica’s Heredia province invites dog lovers from all over, for free hike and an opportunity to play with a hell lot of dogs! Not only this, they also run an active adoption program where by visitors can take home these adorable pooches to a loving home. Puppies at the Land of Strays, safe and looked after. The shelter runs with help from donations from animal lovers, an active volunteer network, and a hardworking staff. This free-range sanctuary, allows the dogs to roam through green hills during the day, and a modern indoor facility with beds for the night. All dogs are neutered, vaccinated, and treated for parasites before they enter the sanctuary. Volunteers exercising the pups by leading scenic hikes. Staff members who watch over the dogs 24/7 ensure that drinking water is placed across multiple locations throughout the sanctuary; they also are handy to maintain peace and safety of all the dogs. It is wonderful to see dogs of all size and colours, frolicking freely within this dog haven. To see dogs run wild on the lush green hills amid coffee plantations, makes a trip to the Land of the Stray Dogs a relaxing, cuddle-filled affair. It may sound hard to fathom but each of the dogs in this sanctuary has his own unique name. Drawing inspiration from their advertising campaign which carries the message “When you adopt a mutt, you adopt a unique breed”, The Land of Strays wants people to think differently about mix-breed dogs — ensuring that mongrels are not seen as a second class dogs as against pure breeds, using their mixed status as a USP to help find homes. Each dog at Land of Strays is assigned a unique personal “breed” based on his/her traits. Expect to come across such creatively invented breeds like — Alaskan Collie Fluffyterrier, Fire-Tailed Border Cocker or a Chubby-Tailed German Dobernauzer. Want one of them? You know where to find them! Suggested reading: the woman who feeds 350 stray cats everyday! Posted on April 30, 2016 Author Abhishek JoshiCategories Hail the hound! Oh boy now isn’t that superb. A home for the homeless and with everyone happy. Mans best friends. Bless the two legged who look after all of you poochs. Regards to all 1000 of you. How do I donate or where do I donate ? Previous Previous post: India bans import of dogs for breeding! Next Next post: 99 Awesome Dog Facts You Need to Know!